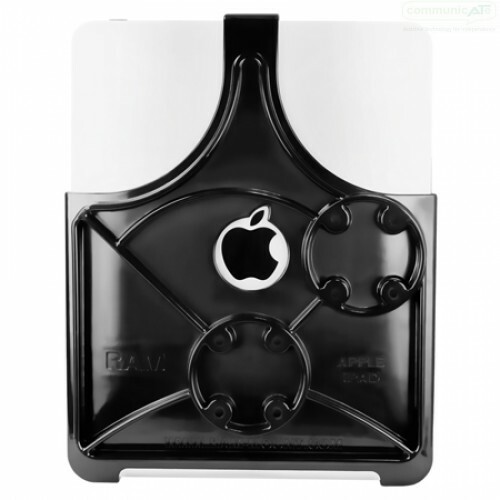 The RAM Suction Cup Table Mount with Triple Base for iPad 2, 3 or 4 offers a simple attachment of iPads to clean, non-porous flat surfaces like acrylic trays, laminated desks or tables. 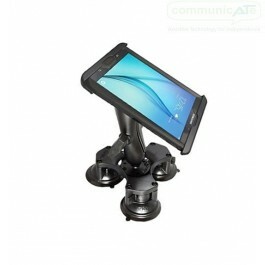 The triple base adds more attachment security and stability however requires more table//surface space. The RAM Table Top Suction Mount with Triple Base for iPad 2, 3 or 4 consists of a high strength composite cradle and patent pending roller design, a dual ball-and-socket mounting arm and a triple suction cup base. Super stability and holding power! 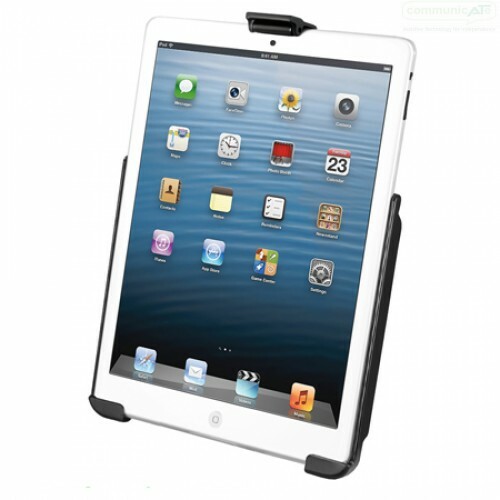 The patent pending roller design allows for smooth placement and removal of the iPad. 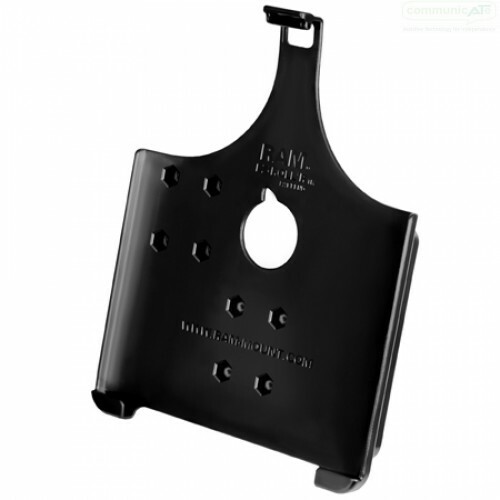 Multiple hole patterns found on the back of the cradle make it convenient for attaching various mounts for perfect articulation and viewing angles. 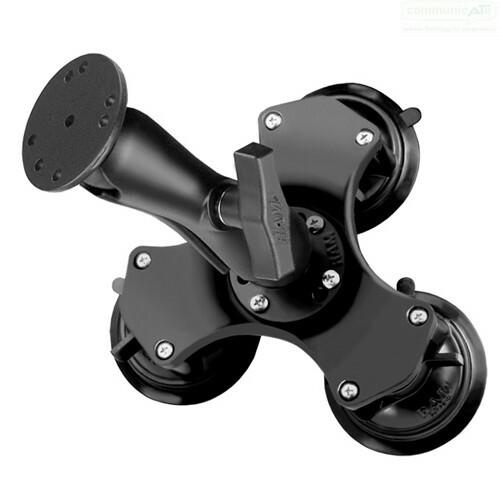 The suction bases are convenient and have a removal mechanism built in although attachment mst be to clean non-porous surfaces free of dust, debris and irregulaties otherwise secure attachment can't be ensured.